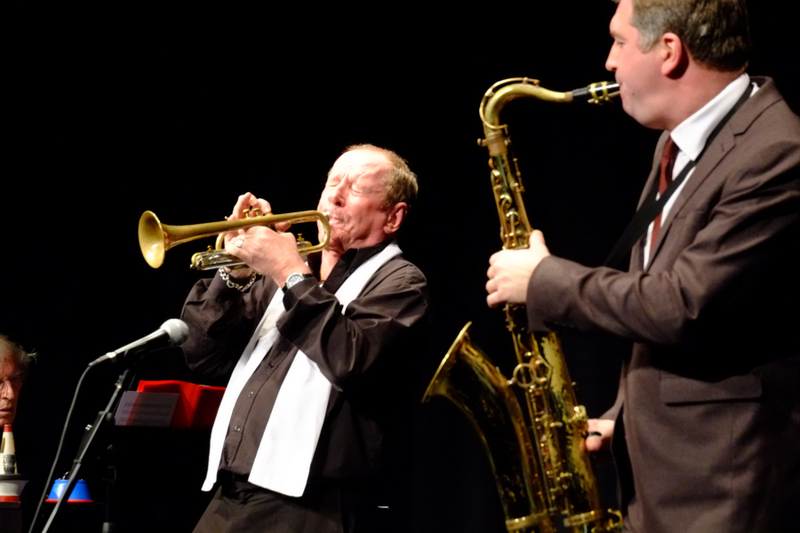 Newport Jazz Club started their 2016 season of Sunday concerts with a return of island favourite Digby Fairweather who was appearing alongside top tenor sax player Simon Spillett who was making his island debut. Both musicians have strong credentials with Simon recently publishing his long awaited biography of Tubby Hayes which was nominated among the best music books of 2015 by the newspaper The Guardian whilst Digby was given the award for services to British jazz in the 2015 British Jazz Awards. With a set that included perennial favourites such as "Loverman (Oh where can you be", "Meloncholy baby", "They can't take that away from me" and "Oh lady be good" there were plenty of opportunities for some subtle interplays between the lead instruments whilst the solos gave each musician the opportunity to display some wonderful virtuosity. At the end Digby thanked the audience for their enthusiasm during the concert which was aptly closed with "Memories of you". Back line support was provided by Peter Trueman (piano), Jez Gray (bass) and Jon Wills (drums).